MBR is less than 512 bytes in size. Once the control is given to kernel which is the central part of all your Linux OS and act as a mediator of hardware and software components. Kernel once loaded into to RAM it always resides on RAM until the machine is shutdown. 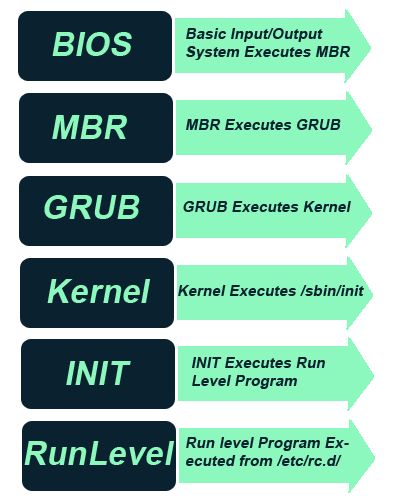 Once the Kernel starts its operations the first thing it do is executing INIT process.